In light of the vastness of time, space and the potential for human suffering, this artist’s book confronts impermanence and vulnerability at the human scale — and at other orders of magnitude. As each of us gains personal & scientific understanding of our place in the world and in the universe, this clashes with our emotional investment in the details of our own life. We know both that nothing matters and that everything does. 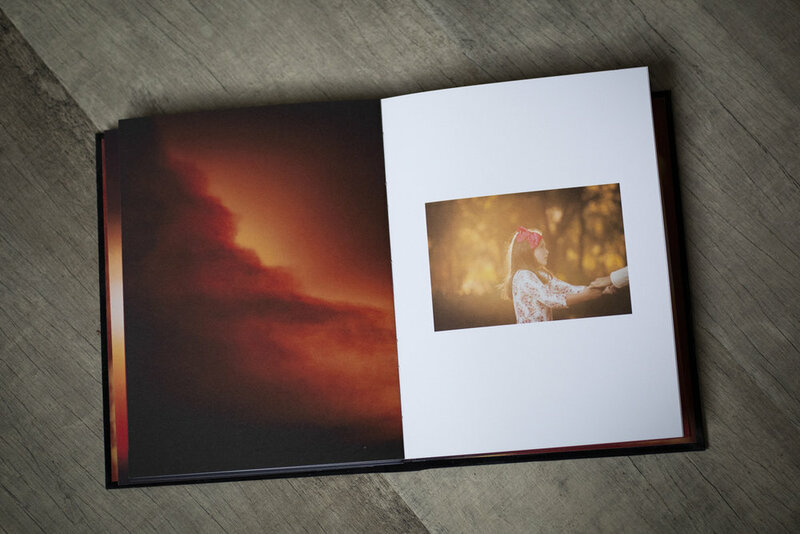 At the core of this book are two photographic series, interwoven. 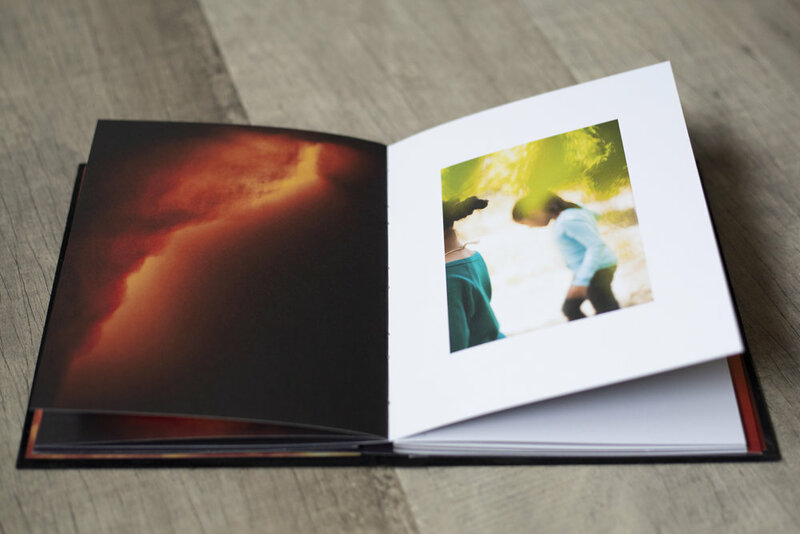 On the white pages, images of modern childhood in all its fragility, awkwardness, & ambiguity conjure loveliness with all its potential for heartbreak. Layered with these are cameraless images of light itself, which has crept through a stack of sensitized paper. Transcending scale, they might be wildfires, supernovae, or solar flares. Dispassionate foils to our human conceits, the timeless principals of physics contrast with the flickers of human joy and sorrow. Nevertheless, the human scale holds its own in this balance: what we stand to lose is still important, even if only to us. Like all books, this book is an ark. These tiny, overlooked moments of human experience are fragments, shored against ruin. 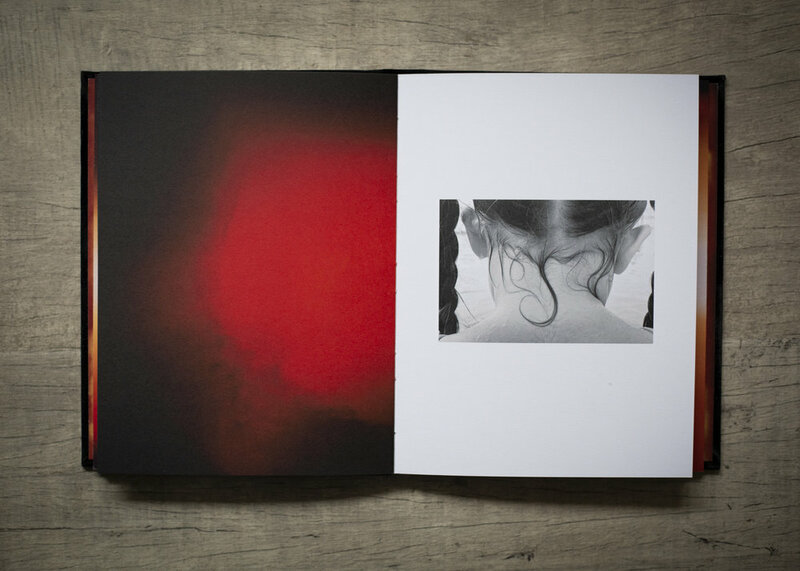 The photographs comprise an inner book, wrapped in a soft cover that can be peeled away to reveal the spine’s stitching (the book’s own vulnerability). Encasing this is a folio featuring Nick Flynn’s eponymous poem, “Cartoon Physics, Part 1”, a bittersweet meditation on childhood and scale, obliviousness and oblivion. The poem is another stab at grasping the ungraspable, intended to be read separately and then held in mind while looking at the photographs. Cartoon Physics was conceived in the wake of the 2016 election, and created after a subsequent wildfire destroyed thousands of homes in my community. 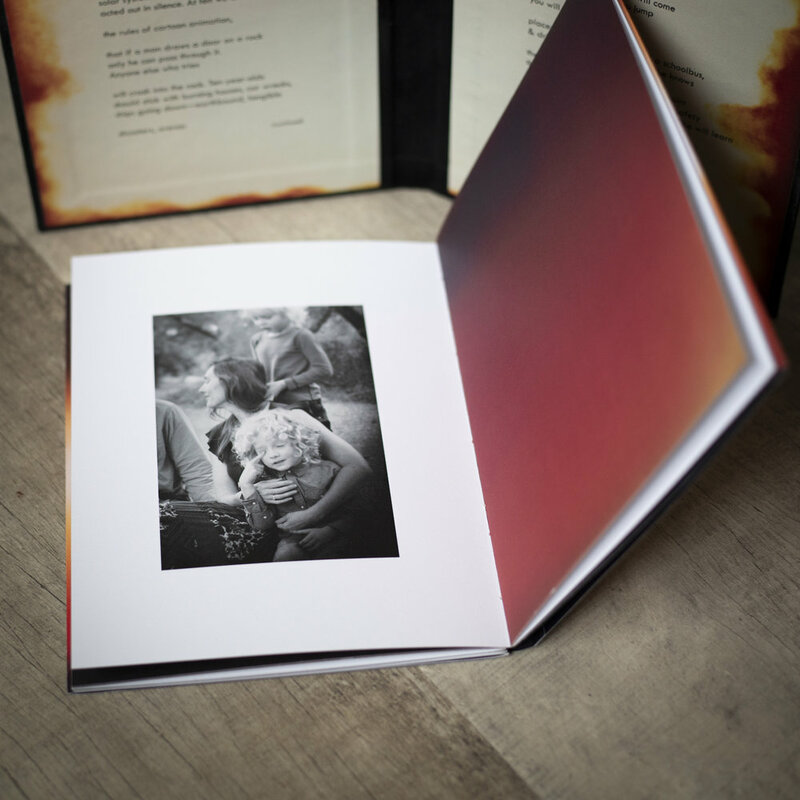 Colophon is signed by both the poet and the photographer. 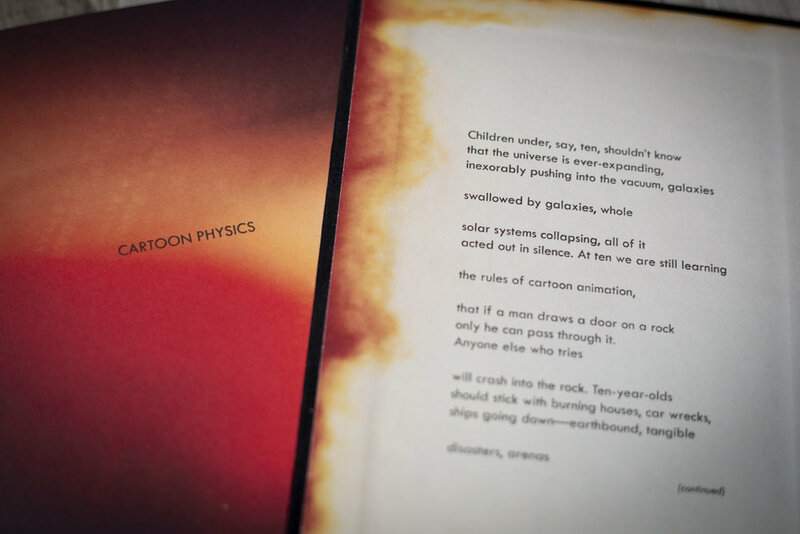 48 pages, 8” x 6.25”, printed with letterpress (text) & Indigo Electroink (images) on Mohawk Superfine paper. Edition of 40, 2019: $525.